As an architect, you can recreate the great buildings of the eternal town to shine in a new splendor. Build a Colosseum and a harbor for the citizens of Rome and do not forget social amenities like constant water via an aqueduct or thermal springs. To fully supply the people, you can also purchase mines, vineyards and more. 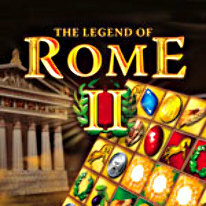 Match 3 gems or more and re-construct the wonderful city of Rome. Rebuild the gorgeous buildings that made Rome what it was including the Colosseum. But beware of facing the wrath of the gods, disasters can be fatal to your town!